AWWP Poet Marzia will make a guest appearance via Skype at the Clarkston High School Voices for Change poetry slam on Friday, January 22nd at 7 p.m. This is the second year Marzia has participated as a guest reader. The slam, co-produced by sisters Madeline and Olivia Maday, will feature twenty Clarkston High School students selected to perform their work. Proceeds will go to the Afghan Women’s Writing Project. 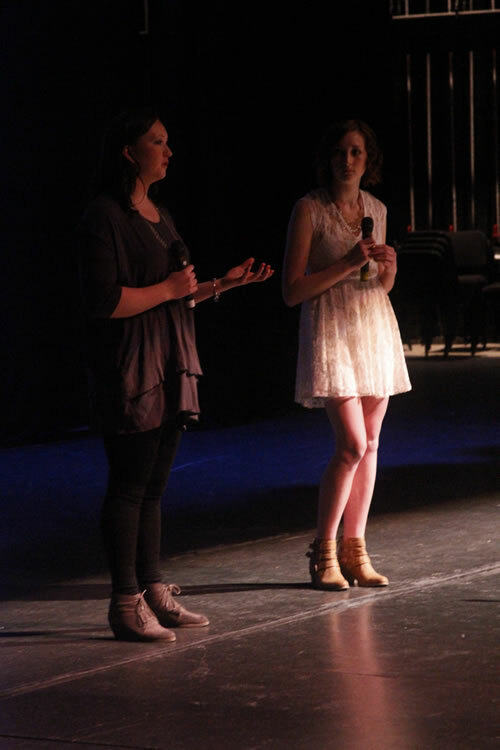 Photo: Olivia (left) and Madeline Maday at 2015 Voices for Change Poetry Slam in Clarkston, MI. Photograph by Nathan Brown.